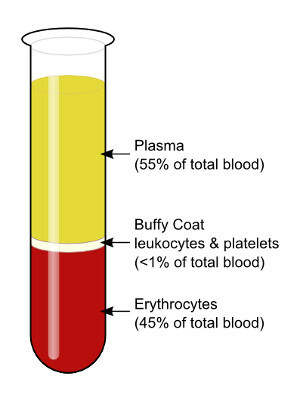 Platelet Rich Plasma (PRP) is exactly what it sounds like, blood plasma enriched with platelets. For many years PRP injections were only used in hospital environments due to the cost of separating platelets from the blood and the amount of blood that was needed to produce the desired quantity of platelets. Newer technologies allow doctors to obtain enough platelets from only a small amount of blood, so the process can be performed while the patient is having outpatient surgery. Platelet Rich Plasma allows the body to heal at an accelerated rate. Platelets are a type of cell that is rushed to a wounded area to promote healing and serves to form blood clots and release growth factors (GF) into the wounded area. Growth factors can be platelet derived growth factors (PGDF,) transforming growth factors (TGF,) and insulin-like growth factors (ILGF,) all of which help the body heal by stimulating stem cells and regenerating new tissue. More platelets mean more growth factors, more stem cells, and more new tissue is produced, so PRP is helping the body to heal faster. Bone morphogenic protein (BMP) is a subfamily of TGF that research studies have shown to induce the formation of new bone tissue in animals and humans. For oral surgeons placing dental implants, this means that by adding platelet rich plasma to the implant site, along with substitute bone particles, that the bone in the area can grow more predictably and faster than before. Bone grafting for dental implants, including onlay and inlay grafts, sinus lifts, ridge augmentation, and closure of defects in the cleft, lip, or palate. Repairing bone defects created by removing teeth or small cysts. Repairing fistulas between the sinus cavity and mouth. Safety: Disease transmission is not a risk since PRP is made from the patient’s own blood. Convenience: PRP can be made in the office while the patient is undergoing an outpatient procedure such as dental implant placement. Faster healing: Saturating the wound with PRP and growth factors increases the rate of tissue synthesis and regeneration. Cost effectiveness: Now that PRP can be made with only a small amount of blood in the doctor’s office, there is no need for a hospital or blood bank visit and the related expenses. Ease of use: PRP makes it easier to apply substitute bone materials and bone grafts by making them more gel-like.